Helpful information to keep you in the know. Identical property tax reform legislation has been filed in both chambers. HB2 and SB2 proposes lowering the rollback rate to 2.5% from the current 8% for all taxing units with more than $15 million in combined property and sales tax revenue. The Senate Property Tax Committee will hold a hearing for SB2 on Wednesday, February 6 at 8:00am. Gov. Abbott, Lt. Gov. Patrick and Speaker Bonnen said the identical bills set the tone of both chambers working together this session. Here is a the link to HB2. Find information and links to State agencies that matter to rural communities. There are 31 members of the Texas Senate and 150 members of the Texas House of Representatives. The regular legislative sessions begin in January every odd-numbered year and convene for not more than 140 days. The information below is provided as a quick link guide to State agencies that effect rural communities. We highly encourage you to click on the More Information button below each agency to learn about their role in State government. 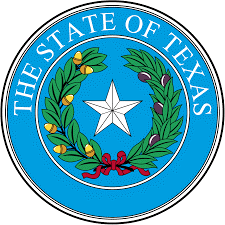 The Comptroller of the State of Texas is the chief financial officer of the state government, responsible for maintaining the state’s finances. The comptroller also acts as the tax collector, the chief accountant, the chief revenue estimator and chief treasurer for the state. The Texas Comptroller’s office serves the state by collecting more than 60 separate taxes, fees and assessments, including local sales taxes collected on behalf of more than 1,400 cities, counties and other local governments around the state. State taxes and fees will generate an estimated $77.5 billion in the state’s 2008-09 budget period. As guardian of the state’s finances, the Comptroller serves every citizen of the state. Legislators rely on the Comptroller’s office to chart the course of the Texas economy, produce annual reports on the state’s finances and estimate revenues coming to state government in the future. State agencies trust the Comptroller to pay their bills and issue paychecks to their employees. And all Texas residents depend on our agency to safeguard their tax dollars and ensure that they are handled wisely. 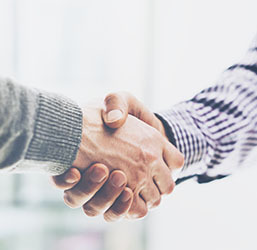 Texas Procurement and Support Services (TPASS) awards and manages hundreds of statewide contracts on behalf of more than 200 state agencies and 1,700 local government agencies. With a massive marketplace and billions of dollars in purchasing power, Texas offers abundant opportunities for vendors of a wide variety of goods and services, including minority- and women-owned businesses. 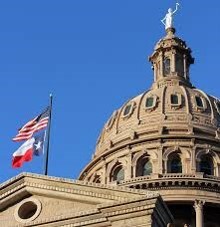 The oldest state agency in Texas, the General Land Office (GLO) manages state lands, operates the Alamo, helps Texans recovering from natural disasters, helps fund Texas public education through the Permanent School Fund, provides benefits to Texas Veterans, and manages the vast Texas coast. Education – The Texas Constitution of 1876 set aside half of Texas’ remaining public lands to establish a Permanent School Fund (PSF) to help finance public schools. The GLO manages these lands, including sales, trades, leases and improvements, as well as administration of contracts, mineral royalty rates and other transactions. Energy – The General Land Office oversees over 13 million acres of land and mineral rights on behalf of the Permanent School Fund (PSF). Veterans – The GLO provides veterans with access to land, home and home improvement loans that allow them to own their very own piece of Texas. We also offer State Veterans Cemeteries to honor those who have served, as well as State Veterans Homes that provide care to and dignity for veterans, their spouses and Gold Star parents. History – The GLO Archives and Records is home to more than 35.5 million documents and 45,000 maps, dating back to the year 1561, tracing the history of Texas’ public lands. Land – The GLO manages state lands and mineral rights totaling 13 million acres. A primary responsibility of the GLO is to lease these lands for the benefit of the Permanent School Fund. Coastal Management – The GLO is responsible for developing a comprehensive, long-term planning framework to ensure a resilient ecologic and economic management of the Texas coast. The Economic Development and Tourism Division (EDT) of the Governor’s Office markets Texas as one of the world’s premier business locations and travel destinations. The division pursues business expansion and relocation prospects, with the goal of developing job creation and export opportunities for Texas. EDT is also responsible for a highly effective and award-winning tourism marketing campaign. The division works in partnership with local convention and visitors bureaus, chambers of commerce, and private travel-related organizations to promote economic opportunity and prosperity for Texas through both domestic and international tourism. Permits and Licenses You Might Need – Look up your type of business to see what permits, licenses, registrations or other authorizations you may need from the TCEQ. Establishing a New Public Water System: The Basics – Simplified overview of the essential points to consider in establishing a new public water system. Texas Department of Agriculture (TDA) is state agency with agricultural marketing and regulatory responsibilities, including program, marketing information, farmers’ markets, and producer services. The Office of Rural Affairs within TDA is dedicated to enhancing the economic vitality and quality of life in rural Texas. Taking advantage of available federal funds and a statewide outreach network, this office provides rural communities the tools needed to attract and retain businesses, expand and improve public infrastructure, and secure quality health care. Community Development Block Grants (CDBG) – Develops viable communities by providing decent housing and suitable living environments, and expanding economic opportunities principally for persons of low-to moderate-income. GO TEXAN – Represents Texas agri-business on state, national and international levels by building recognition for the GO TEXAN mark and helping you find Texas products. Grants – Funding opportunities available to farmers/ranchers, universities and schools, non-profits and private entities in Texas. Rural Community Program – A comprehensive initiative designed to promote the growth and prosperity of every rural Texas town, city and county. Texas Capital Fund – Supports rural business development, retention and expansion by providing funds for public infrastructure, real estate development, or the elimination of deteriorated conditions. State Office of Rural Health – Dedicated to serving the health needs of rural Texas, staff work closely with local health care providers, county leaders and state partners to support access to quality health care for rural Texans. Let the STAR Fund Help You Repair After the Panhandle Wildfires – If you have been affected by these wildfires or other natural disasters, the STAR Fund is ready to help. We’re standing by to rebuild fences, restore operations or assist with any other ag-related relief. Click here to fill out an application. The Texas Department of Housing and Community Affairs (TDHCA) is the state agency responsible for affordable housing, community and energy assistance programs, colonia activities, and regulation of the state’s manufactured housing industry. The following TDHCA programs are open to eligible nonprofit organizations, such as Community Action Agencies; Community Housing Development Organizations; units of local government, Colonias; and Public Housing Authorities. Build or Rehabilitate Single Family Homes in Rural Texas. HOME Program – Single Family Repair – Loans and grants for the rehabilitation of single family homes. This program includes, roof repair or replacement, electrical system and plumbing repairs. HOME Program – Rental Housing Development – Loans or grants for the development of affordable rental housing in rural Texas. Housing Tax Credit Program – Used to fund the construction of high quality affordable rental communities in Texas. HOME Program – Rental Housing Development– Loans or grants for the development of affordable rental housing in rural Texas to eligible entities to develop or preserve affordable rental housing. Multifamily Mortgage Revenue Bond Program – Loans for the acquisition or development of affordable rental units. Contract for Deed Conversion Initiative (HOME Division) – Used to support the facilitation of colonia-resident homeownership by converting contracts for deed into traditional mortgages. HOME Program – Homebuyer Assistance Program – Loans and grants to provide down payment and closing cost assistance. HOME Program – Tenant-Based Rental Assistance – Grants to provide rental assistance for two years. Comprehensive Energy Assistance Program (CEAP) – Funds to provide energy education, emergency utility bill payment assistance, and HVAC repair/replacement. Weatherization Assistance Program (WAP) – Funds to install weatherization materials and conduct energy conservation education. Community Services Block Grant Program (CSBG) – Funds Community Action Agencies to help provide a wide range of essential services designed to promote stability and self-sufficiency among low income individuals. Emergency Solutions Grants (ESG) program – Funds to provide shelter and related services to the homeless. Colonia Self-Help Centers (SHC) – Funds Self Help Centers in Cameron/Willacy, El Paso, Hidalgo, Maverick, Starr, and Val Verde, and Webb counties to provide technical assistance for community development activities, infrastructure improvements, and outreach and education. Resources for Potential Administrators of TDHCA funds – Nonprofits interested in administering funds to serve people with disabilities are encouraged to check out TDHCA’s Programs for Administrators information. Technical Assistance and Training Resources – TDHCA also offers Technical assistance and training resources for nonprofits interested in creating affordable housing for people with disabilities coordinated with services. Local Service Providers – Contact local service providers in your area for information about services available to tenants with disabilities. The Texas Department of Licensing and Regulation (TDLR) is “the umbrella licensing agency of the state”, dealing primarily with most, but not all, “non-professional” occupations (i.e., those not requiring four-year or advanced college degrees) such as cosmetologists and electricians . TDLR has implemented procedures to help small business and consumers recover as quickly as possible. Updated Harvey-related information can be found at: https://www.tdlr.texas.gov/harveyresponse.htm. License expiration dates automatically extended. All eligible licensees in the affected counties currently in the renewal period will have their license expiration dates automatically extended by 60 days. Check your license status online. Late fees and license replacement fees waived. TDLR will waive renewal late fees and offer replacement licenses at no cost for all eligible licensees in the affected counties. Contact TDLR at recovery@tdlr.texas.gov or 1-800-803-9202 to order a duplicate license at no cost. If you need to temporarily change your address, phone number, or email address, please update your contact information online. TDLR licensees in the affected areas can email recovery@tdlr.texas.gov to receive expedited assistance with questions, license renewals, replacement licenses, plan reviews, and inspections, or call 1-800-803-9202 between the hours of 7:00 a.m. and 6:00 p.m. Monday – Friday. Please identify the program you are calling about and have your license number ready. Operations – TDEM Operations Section, manages and staffs the State Operations Center (SOC), located at DPS Headquarters in Austin. The SOC serves as the state warning point and primary state direction and control facility. It operates 24/7 to monitor threats, make notification of threats and provide information on emergency incidents to local, state, and federal officials, and coordinate state emergency assistance to local governments that have experienced an emergency situation that local response resources are inadequate to deal with. 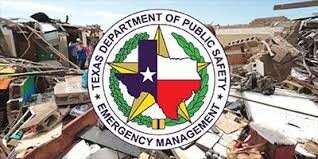 Preparedness – TDEM Preparedness Section, administers a statewide emergency management all-hazards preparedness program. Field Response – TDEM Regional State and District Coordinators are the Division’s field response personnel stationed throughout the State. They have a dual role as they carry out emergency preparedness activities and also coordinate emergency response operations. In their preparedness role, they assist local officials in carrying out emergency planning, training, and exercises, and developing emergency teams and facilities. They also teach a wide variety of emergency management training courses. In their response role, they deploy to incident sites to assess damage, identify urgent needs, advise local officials regarding state assistance, and coordinate deployment of state emergency resources to assist local emergency responders. Recovery – TDEM Recovery Section coordinates damage surveys with local and federal agencies, prepares disaster declaration requests for the Governor’s signature, and deploys staff to the affected area to coordinate the overall recovery process. For major disasters, state and federal recovery staffs are collocated in a Joint Field Office. The TDEM Recovery staff includes: specialists who carry out disaster recovery programs for individual disaster survivors (Individual Assistance), as well as specialists who aid local governments and public entities, such as school districts and hospitals (Public Assistance), with programs to repair or reconstruct facilities that were damaged or destroyed. Mitigation – TDEM Mitigation Section maintains the State Hazard Mitigation Plan, reviews local mitigation plans, and provides hazard mitigation training for local officials. In the aftermath of major disasters, TDEM Mitigation Section staff members deploy to the Joint Field Office to set up disaster recovery operations and coordinate planning for post-disaster mitigation programs with their federal counterparts and with local officials. The Texas Water Development Board (TWDB) is the state agency charged with statewide water planning and administration of low-cost financial programs for the planning, design and construction of water supply, wastewater treatment, flood control and agricultural water conservation projects. Water Development Fund (Dfund) is a state funded loan program that does not receive federal subsidies and is not subject to federal crosscutters. The DFund enables the Board to fund multiple eligible components in one loan to our borrowers, e.g. an application for funding of water and wastewater components can be processed in a single loan. Economically Distressed Areas Program (EDAP) provides financial assistance to provide water and wastewater services to economically distressed areas where services do not exist or systems do not meet minimum state standards. Drinking Water State Revolving Fund (DWSRF) authorized by the Safe Drinking Water Act, provides low-cost financial assistance for planning, acquisition, design, and construction of water infrastructure. State Participation (SP) enables the TWDB to provide funding and assume a temporary ownership interest in a regional water, wastewater, or flood control project when the local sponsors are unable to assume debt for an optimally sized facility. The program is intended to encourage the optimum regional development of projects by funding excess capacity for future use where the benefits can be documented, and where such development is unaffordable without state participation. The goal is to allow for the “right sizing” of projects in consideration of future needs. State Water Implementation Revenue Fund for Texas (SWIRFT) was passed by the Legislature and approved by Texas voters through a constitutional amendment, the SWIFT program helps communities develop and optimize water supplies at cost-effective rates. The program provides low-interest loans, extended repayment terms, deferral of loan repayments, and incremental repurchase terms for projects with state ownership aspects. TX Agricultural Water Conservation Bond Program was expanded as a result of Senate Bill 1053 passed by the 78th Texas Legislature. Under the new consolidated program, TWDB can provide agricultural water conservation loans to political subdivisions and eligible lending institutions for their use either for improvements on their facilities or as loans to individuals or provide a linked deposit loan program for individuals to access TWDB funds through participating local state depository banks and farm credit institutions. Clean Water State Revolving Fund (CWSRF) authorized by the Clean Water Act, provides low-cost financial assistance for planning, acquisition, design, and construction of wastewater, reuse, and stormwater infrastructure. Rural Water Assistance Fund (RWAF) is designed to assist small rural utilities to obtain low-cost financing for water and wastewater projects. The RWAF offers tax-exempt equivalent interest rate loans with long-term finance options. TexasFLOOD.org was created to assist individuals in quickly assessing the potential flood risk during a flooding event and to provide basic flood information before, during and after a flood event. Texas Workforce Commission (TWC) is the state agency charged with overseeing and providing workforce development services to employers and job seekers of Texas. TWC strengthens the Texas economy by providing the workforce development component of the Governor’s economic development strategy. For employers, TWC offers recruiting, training and retraining, outplacement services, assistance recruiting and retaining qualified employees with disabilities, and valuable information on employment law and labor market trends and statistics. For job seekers, TWC offers career development information, job-search resources, training programs and, as appropriate, unemployment benefits. While targeted populations receive intensive assistance to overcome barriers to employment, all Texans can benefit from the services offered by the partners of Texas Workforce Solutions.